Home / Automobiles / Honda CBR250R - More for less! Honda CBR250R - More for less! This is one motorcycle that should make you stand up and take notice. That's because this is the motorcycle that will wet your shoes with drool but still won't require you to sell everything including the shirt on your back to own one. Ladies and gentlemen, this is the CBR 250 R. And it's heading to your town soon. Very, very soon. The latest Honda on the block is powered by a 250cc, four-valve, DOHC liquid cooled single. Though the company hasn't divulged the performance figures for the motorcycle that will be sold in India, we've heard that the bike will make about 2.3 kgm of torque. Honda is quite tight-lipped about the power output of the CBR but we reckon it to be pegged at about 25 horses or so. A short stroke motor that loves to be revved, the CBR is what Honda calls a sporty commuter. Yes, a commuter. But letting it loose on the Bira circuit in Thailand also proved that the 250 can handle the odd track day or two. With aesthetics inspired by the Honda flagship VFR 1200F model, the CBR 250 R looks and feels like a biggish motorcycle. Disc brakes at the fore and aft coupled with the thick tyres reinforce that feel. Speaking of rubber, the bike will be sold in India on Continental tyres and not the IRC ones that we sampled. But Honda assured us that their performance and characteristics will match that of their Thai counterparts. We have left the best part for last - the price. Although the exact figure is yet to be announced, Honda bigwigs went on record to say that the CBR 250 R will be priced (ex-showroom) at below Rs 1.5 lakh. Yep, we aren't kidding. But if you're looking for the variant with the combined ABS, expect to pay more. The reason for this astounding pricing is the fact that the motorcycle will be manufactured in India with certain components being imported from Thailand - the only other country that will manufacture the CBR 250R in the world. The Thai market will get these motorcycles, followed by India. 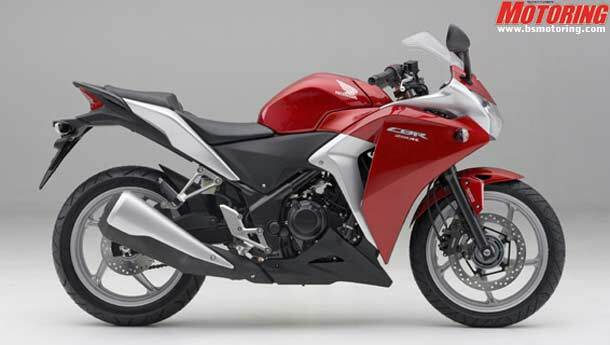 Europe and South America will also be the markets where the CBR 250R will be exported to.